Greetings! 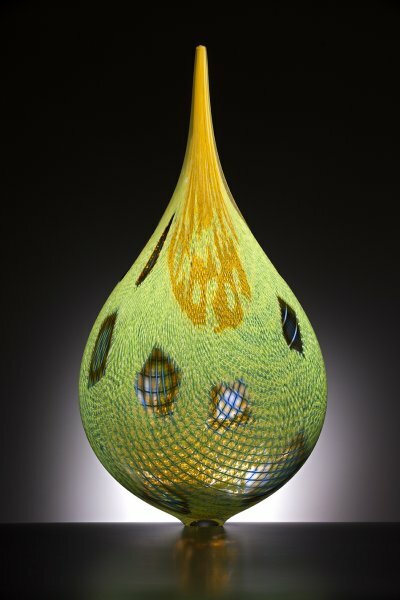 This month I am very pleased to include an interview with one of the most innovative and talented artists working in glass today, Mary Van Cline. I hope you enjoy this issue of Holsten Galleries News and I look forward to your comments and questions. 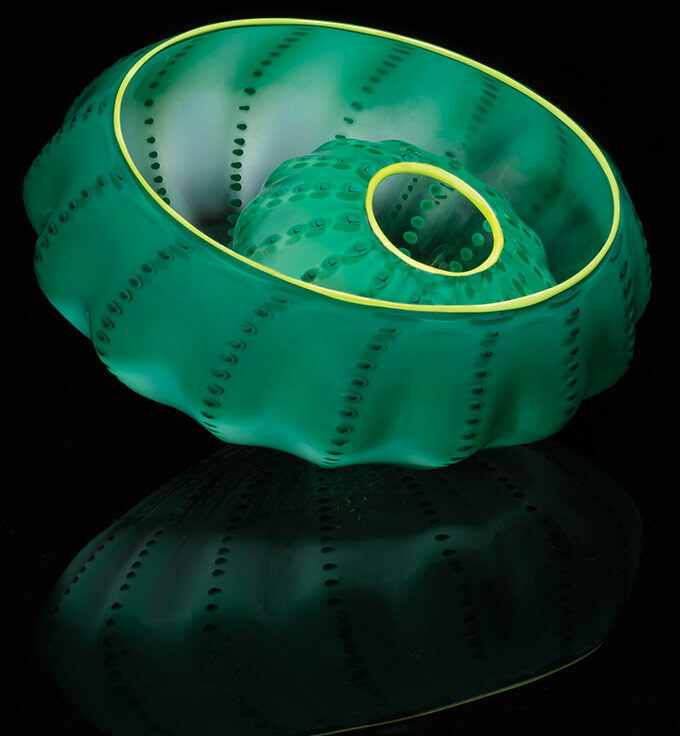 Mary Van Cline is a seminal figure in the studio glass movement. She pioneered a technique for developing her negatives on clear glass photographic plates made by Kodak. 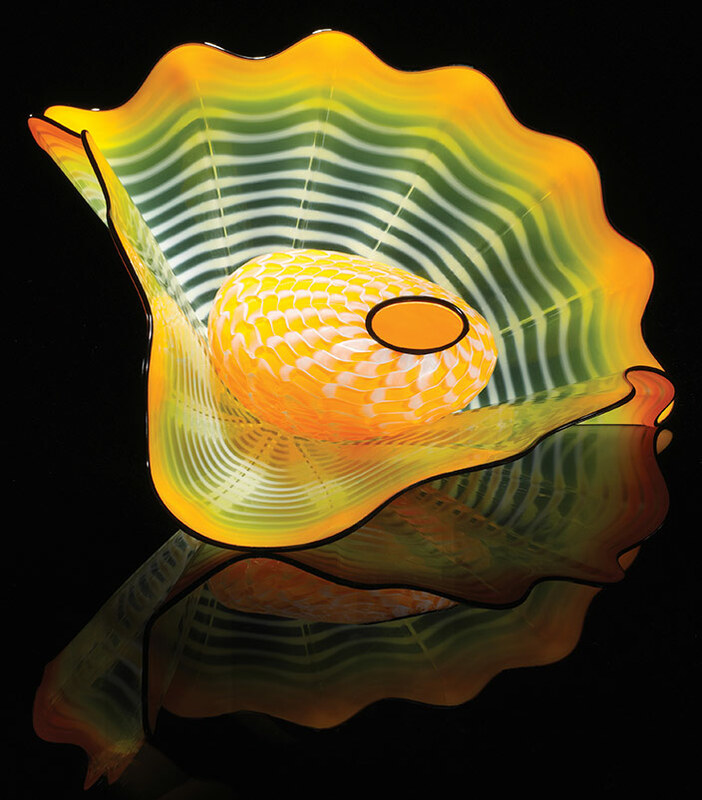 Her photosensitive glass sculptures are in the collections of many major museums and private collections. Recently she sat down to talk with me about her art, her life and her process. KH: I understand that after earning your degrees in architecture and ceramics you were first introduced to glass at the Penland School of Crafts in Penland, North Carolina in 1979. What drew you to work in glass as a medium? MVC: I originally went to Penland to study ceramics with Don Reitz but soon discovered the glass studio which was headed up at that time by Fritz Dreisbach. I had tried almost every other art medium so I decided to try glass blowing and discovered that it was a lot like throwing on a potter’s wheel only horizontally. During the four months that I was there I divided my time between the ceramics and glass studios and by the time I left I had decided to go to Boston to do my MFA with Dan Dailey at the Massachusetts College of Art. KH: And what drew you to go to Mass. College of Art rather than RISD where Chihuly was teaching or California School of Arts and Crafts to study with Marvin Lipofsky? 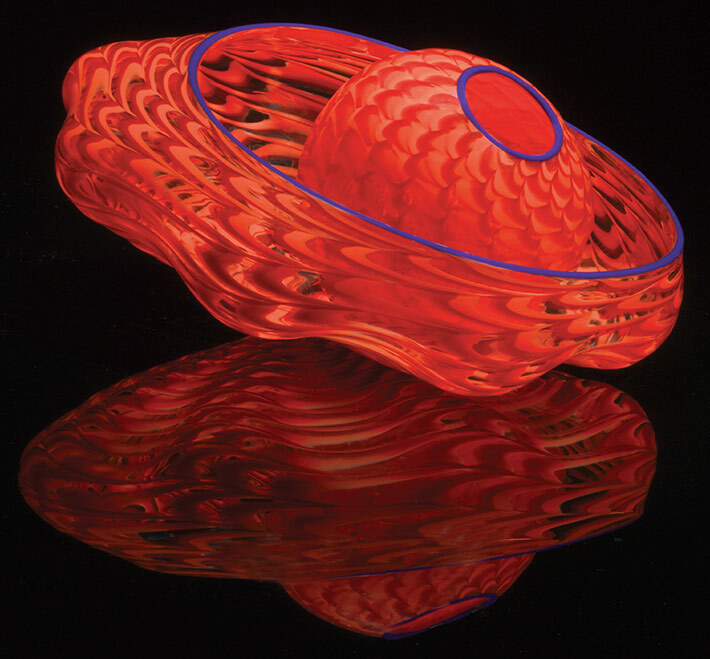 MVC: At that time Dan Dailey was one of the few glass artists whose work was more conceptual. I was always much more interested in creating art that had a narrative or conceptual quality rather than being merely decorative. KH: You are best known for your pioneering work combining your own beautiful photography with glass. 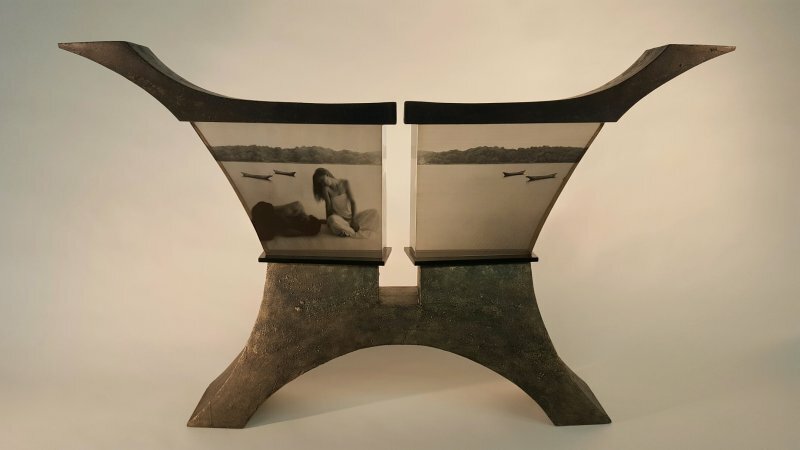 How did you come to create glass sculptures with photographic images? MVC: I loved photography and wanted to create glass sculptures that would have the same narrative ability and luscious quality of fine photography. I visited the now defunct Kodak factory while I was in graduate school and worked with them to use an emulsion that would allow me to print black and white positive photo images on glass. Using images I had shot with my Hasselblad camera from my travels around the world, I developed the glass plates in my dark room just as you would on photographic paper. Then I laminated the transparent photo plates to large pieces of optical glass which were cut and polished into prism shapes to bend the photo images into more three dimensional images. KH: It’s difficult to describe the dramatic effect that these pieces have in person. How would you describe them? MVC: My goal is to create a sort of theater in the round with a mixture of many rich themes and symbols. Very often I have used female forms superimposed on landscapes. These often have a dreamy, surreal quality. The pieces invite the viewers to find one’s own balance within them, both visually and spiritually. KH: I notice that many of your titles include the word "time" and that many of the symbols within some of your works are related to that theme. MVC: For me, time is one of the riddles of human existence. It exists beyond clocks but humanity is constantly trying to measure it. It can push us forward or leave us behind. And the passage of time has great potential for healing. I have always been drawn to photography for its memory evoking power of images. KH: Talk to me a little about your other work, the female sculptures which often inhabit a natural environment of trees and leaves. MVC: I think the ivory figures are an attempt to create emotional gestures, as I do in my photography, which are serene, timeless and peaceful. The maestro’s new piece from the "Fuji" series is spectacular. The combination of the delicate yellow canes with the bolder blue ones creates a dramatic impression and the windows, which seem to be placed randomly, allow us to gaze into the interior of the piece and to view the undulating cane patterns on the other side. The cast sculptures of Latchezar Boyadjiev have a presence that is both dramatic and serene. Many of his sculptures are totally abstract and others are quite literal interpretations of the female form. In this case, there is a happy balance between these two aspects in that the piece is abstract and yet has clear figurative references. 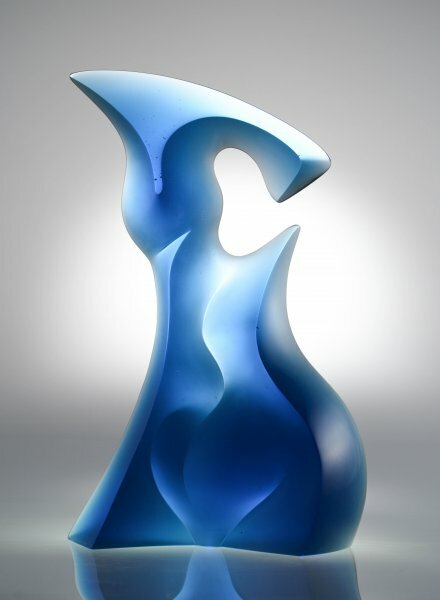 I love this particular shade of blue which is quite different in feeling from the cobalt color which is so typical of many works in contemporary glass. 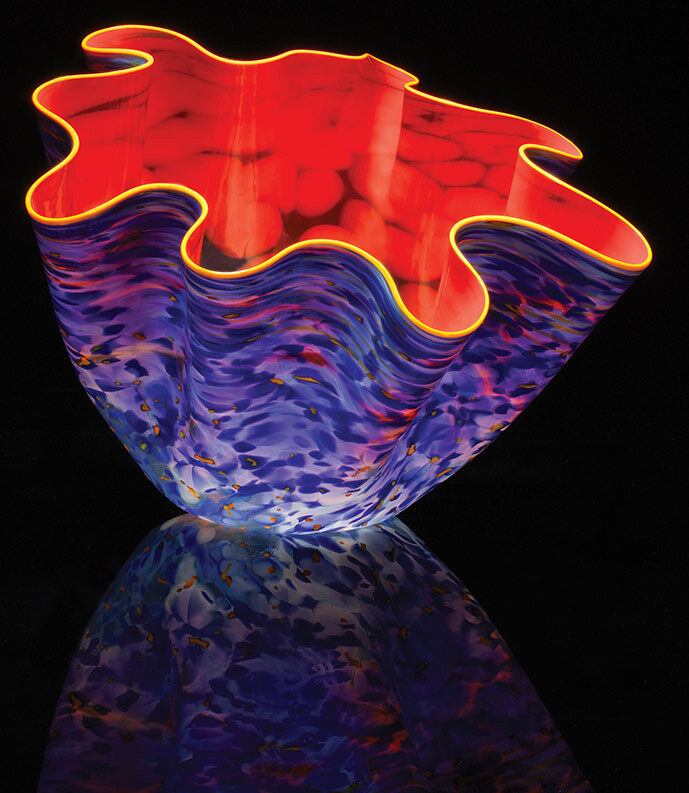 Prices of the 2016 Studio Editions by Dale Chihuly will be increasing on April 1. Images of the 2016 Studio Editions are featured below. To view the 2017 Studio Editions please follow this link. Thank you for taking a few moments to read this newsletter and I hope you and your families enjoy the first month of spring. I look forward to staying in touch.